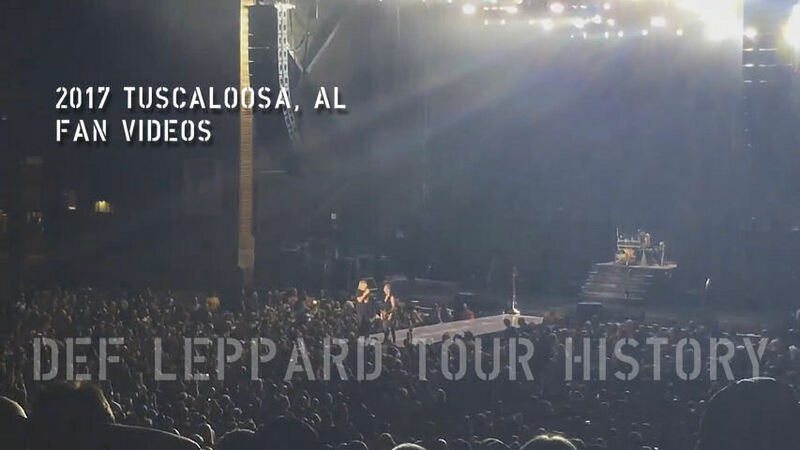 Def Leppard played another show on the 2017 North American Tour last night in Tuscaloosa, AL with 17 songs performed. The show took place at the 7,470 capacity Tuscaloosa Amphitheater. The band's first ever visit to this city in Tuscaloosa County in west central Alabama. 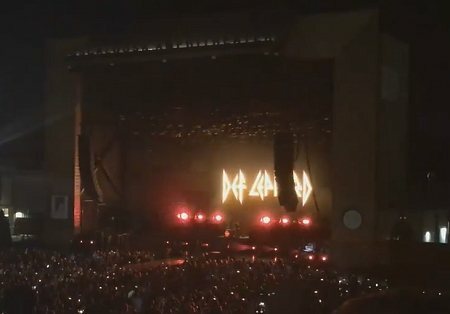 The venue were the first to announce that Def Leppard would be touring with Tesla and Poison on 12th January, a few hours ahead of the 'leak' and subsequent 'official' tour announcement. The last visit to the state of Alabama was on 17th August 2016 in Birmingham. A show with Poison and Tesla after playing two rock festivals in Florida. Poison kicked off their own set of headline shows in Raleigh, NC on 28th April. This was followed up with a second show in Charlotte, NC on 29th April with Extreme and Jackyl supporting at both shows. A full list of solo tour dates by both bands was confirmed before the current tour with Def Leppard started. They include four arena shows with Tesla supporting Poison in May and June on days off from the DL dates and during the upcoming tour break. 17 songs were played at last night's show once again with all three new album songs staying in the set. As this was their first ever visit to Tuscaloosa, all songs were played here for the first time. All three new songs had been played at the Birmingham, AL show last August. "I was gonna say something important but I've forgotten what it is because somebody's smoking down here. And I've f**ked up now. Oh yeah, I was gonna say this. This is Phil Collen everybody. And amongst many numbers he will introduce tonight. This is one from our most recent album. This one is called Dangerous." The next show takes place on 3rd May in Atlanta, GA.